Upper Columbia Guide Service - Founded and operated by Shane Magnuson, Upper Columbia Guide Service has offered outdoor enthusiast and first time anglers alike the ultimate experience since 2004. Hard work and dedication takes fishing and hunting to another level, and that is something we pride ourselves on. We provide a premier guided fishing and hunting service, and that is what makes memories! 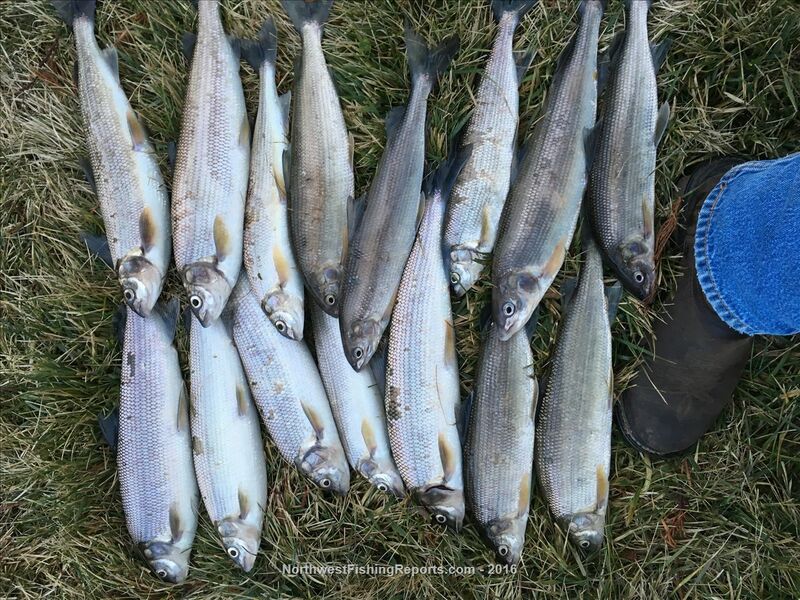 Year round opportunities depending on seasons for Chinook, Coho, Sockeye, Steelhead, Walleye, Kokanee, and Lake Trout. Great day on the water. 3 hrs 15 fish limit. Orange whitefish fly and maggots. Tried for walleye after and no luck. Worst part of the day was the dog rolling in the salmon carcasses , bad dog! He had a cold ride home in the back of the pickup to think about his actions. Now smoking and canning this weekend. View other reports from Lipriper. Priest Rapids is Pend Oreille right? salmon get that far? I just moved to this side of state. Priest Rapids is near Hanford, near the middle of the Columbia River, below Wanapum and above McNary Dams. it is very nice to see a whitefish report. Thank you .They are one of my favorites.